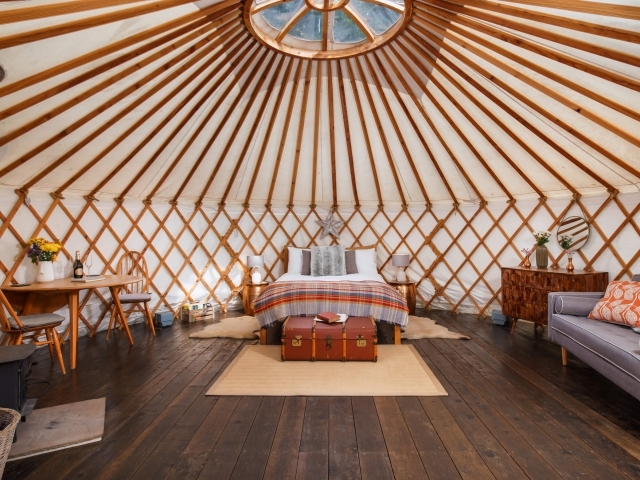 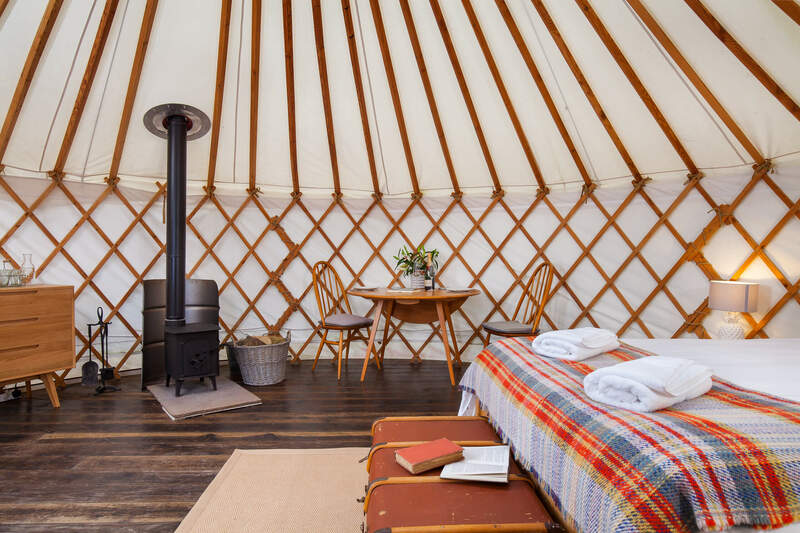 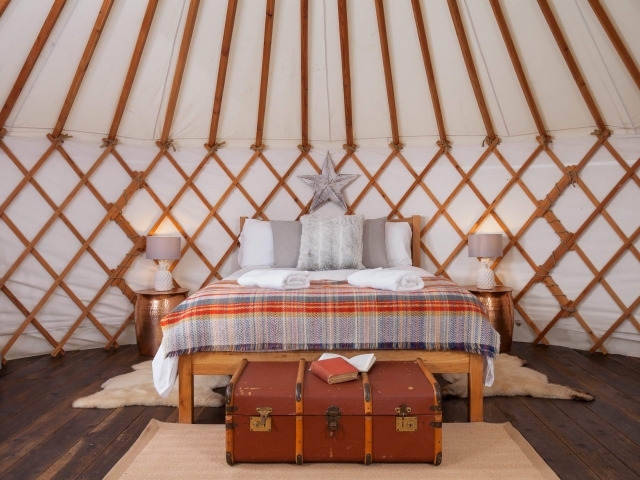 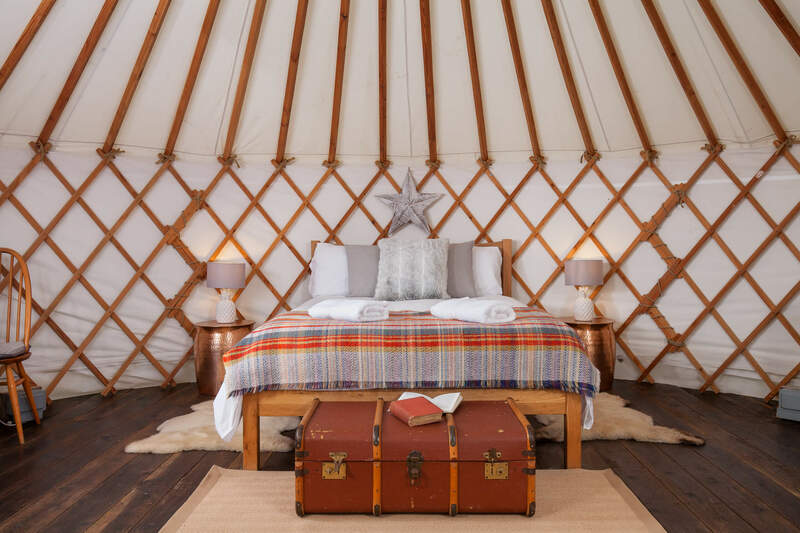 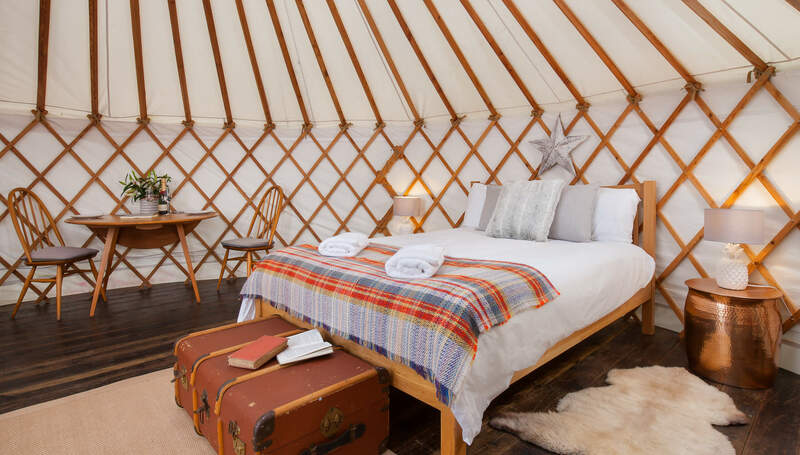 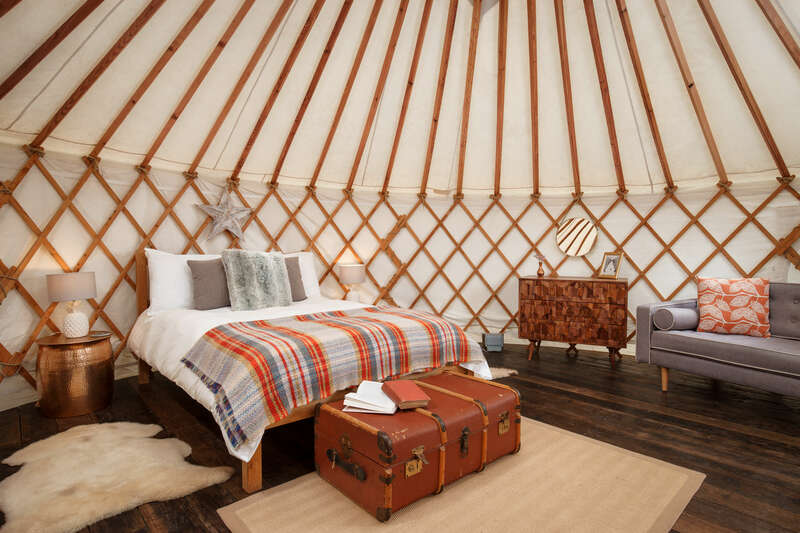 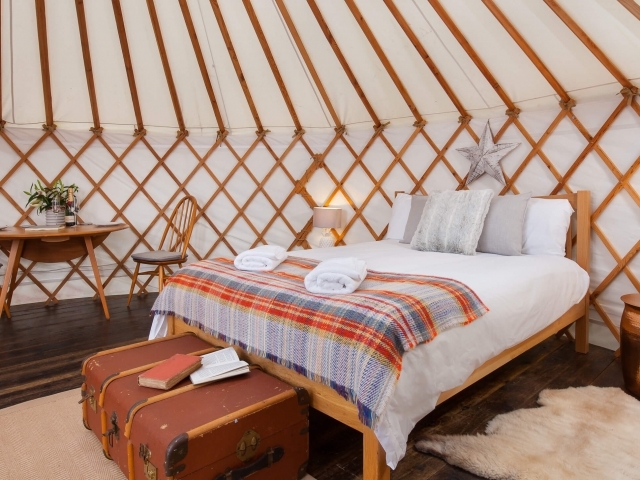 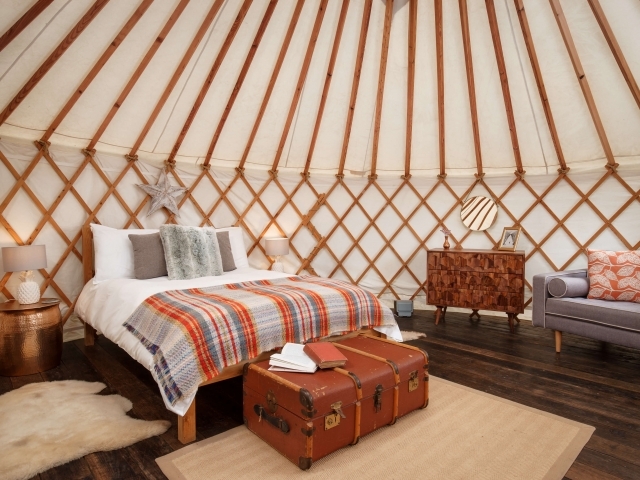 Larch Yurt sleeps two guests and is styled with warm copper, mango wood and oak. 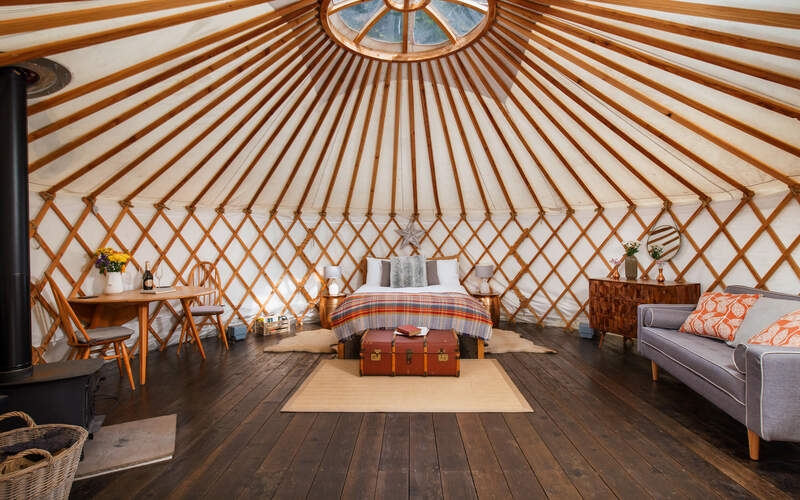 It is our only Yurt with the shower in it’s private bathroom. 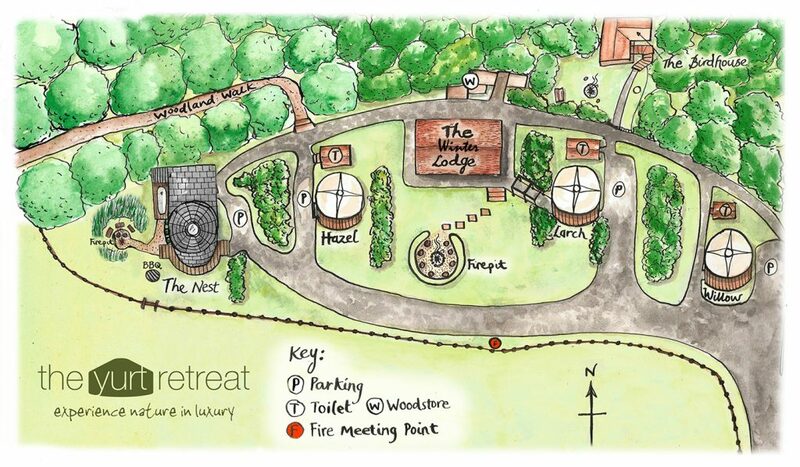 It’s also the closest to the facilities in the Lodge just a level walk away. 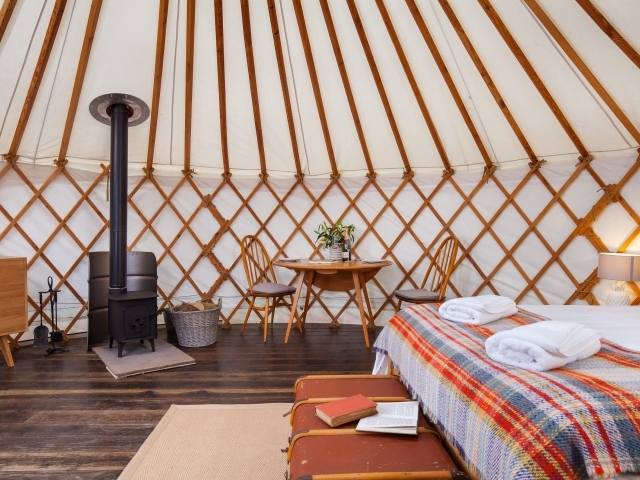 The Lodge is only shared with the guests in Willow Yurt and offers fantastic extra space an facilities.